Electrical technology has changed radically in the last 75 years. Where once was a state of the art electrical system installed in a home now can be painfully inadequate If you live in one of the Dubuque area’s fine older brick homes, or even a house that was built in the mid to late 20th century, chances are you may need an electrical panel upgrade. Increasingly our houses are required to power more and more gadgets and appliances and this can sometimes overburden their capacity to deliver electricity safely and efficiently. 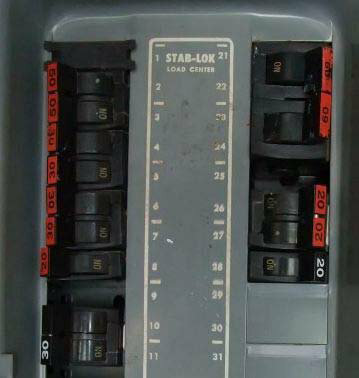 Older homes that use fuse panels that blow frequently are in need of an upgrade to a circuit breaker system to provide more electric power more efficiently. 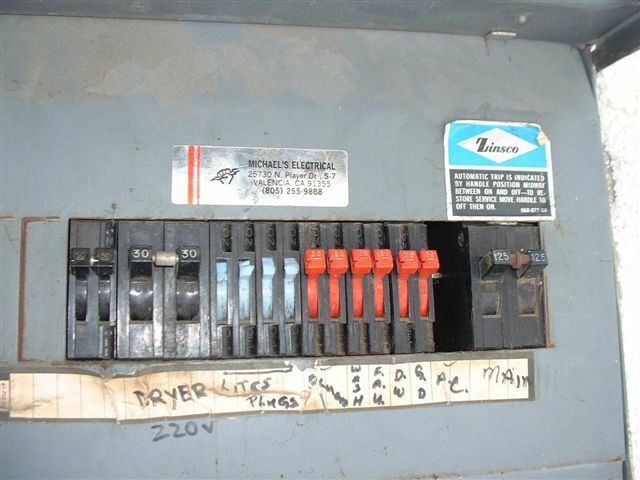 Houses that have circuit breaker panels made by companies like Federal Pacific Electric and Zinsco should upgrade from these panels due to their poor safety records. Panels from companies like Pushmatic have become increasingly obsolete. Keeping your residential electrical system upgraded will lower your risk of system overload and electrical fire. The electrical panel acts as a hub which takes electricity from your local power company in eastern Iowa or northwestern Illinois and distributes it to the different areas of your home. It is necessary to make sure this panel functions properly. The safety of your family and your home depends on it. If you suspect that your electrical panel is outdated, obsolete or was made by a company like Federal Pacific or Zinsco, you should call a professional electrician like Budget Electric. We can advise you on the necessary electrical panel upgrades that will best suit the needs of your home. 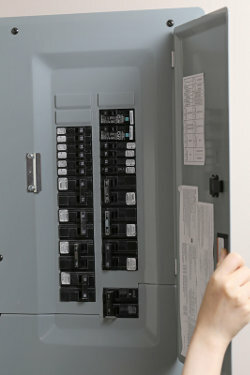 Residential homes aren’t the only buildings that need to have the most up-to-date electrical panels. Commercial businesses and industrial structures should be up to code to provide the latest in safety and functionality. Sometimes it is not the age of the panel, but the quality. For thirty years the Federal Pacific Electric company provided circuit breaker panels to homes across North America, which means these panels were installed in millions of homes in the US. In the years since their installation, these panels have been proven to be unreliable and unsafe. Studies have shown that the breakers are unsafe as sometime they do not trip under overload and short circuit conditions. At the moment you need a breaker to function correctly they have a high failure rate and one short circuit can cause breakers to overheat, possibly starting a fire. Zinsco is another company whose panel installations have proven to be subpar over the years, and the increased energy demands of modern households can cause these obsolete panels to overheat and melt breakers. If you have a circuit panel made by Zinsco or Federal Pacific Electric, you should have Budget Electric perform an upgrade. For electrical panel upgrades for either residential or commercial concerns, choose the licensed and insured electricians at Budget Electric. We have provided our services to Dubuque, IA, Galena, IL and the surrounding area for over three decades. Call 563-590-5679 today. No job is too big or too small. We accept credit cards, personal checks and cash.